← Have a Crafty Halloween! 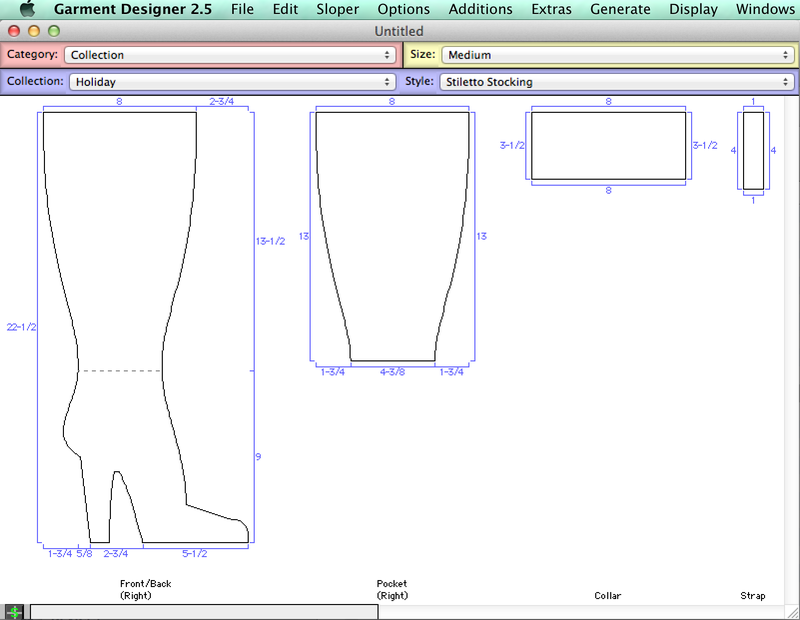 Make your family stockings using Garment Designer’s Holiday Collection Add-on, or the Stand-alone version of the software. Time to think about making some new holiday decorations. 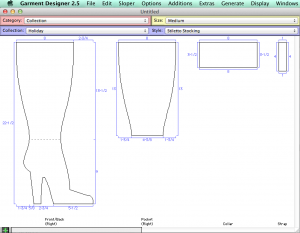 Did you know that we here at Cochenille have a Holiday plug-in to Garment Designer? It is also available as a stand-alone program, meaning you do not need to own Garment Designer to run it. There are stockings (for people and animals), a bottle bag, various carriers for food, a tree skirt, and more. I recently made holiday stockings for my son and his family. I chose the Stiletto shoe style for my daughter-in-law, an elf one for my granddaughter, and a standard stocking style for my son. 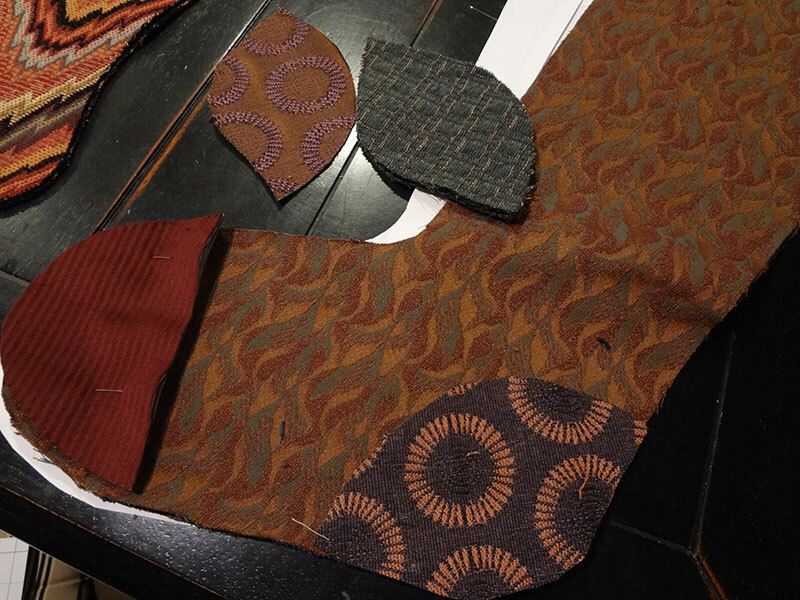 I chose to use lightweight interior fabrics, in a somewhat darkened holiday palette. 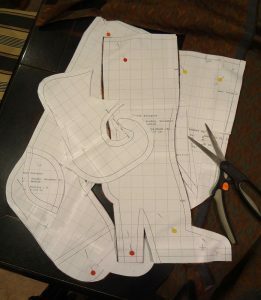 Here you can see the stiletto pattern in Garment Designer. 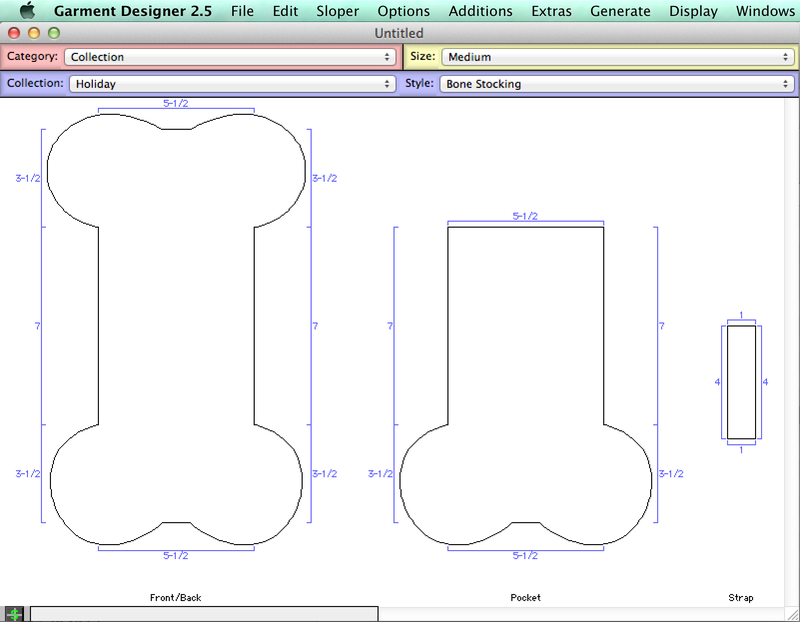 The Stiletto pattern for a holiday stocking. And here are the pattern pieces for all of the stockings. I spliced some of the patterns to allow me to have more fabrications involved. 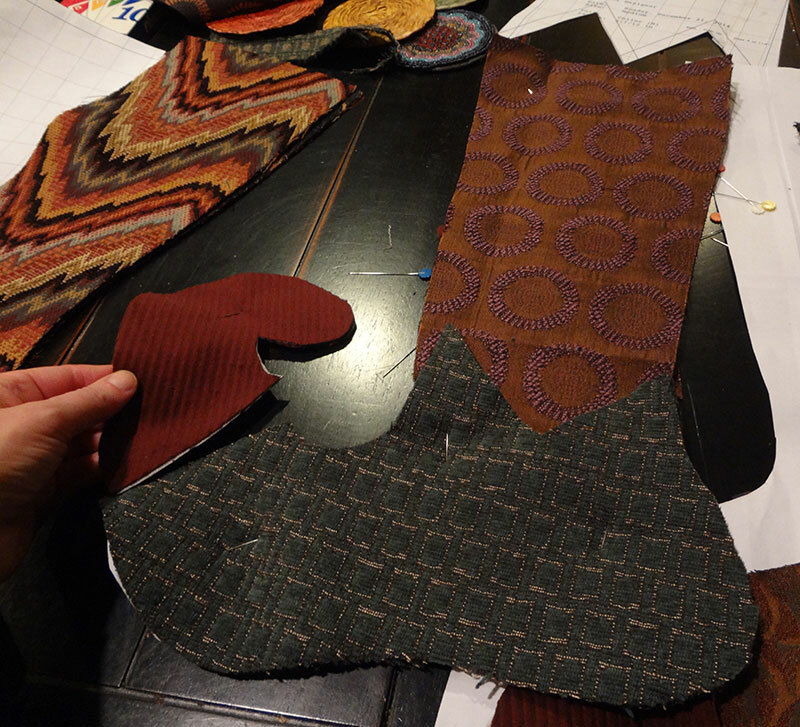 My assortment of pattern pieces for holiday stockings using Garment Designer software. These next few images will show you how I mixed and matched the fabrics within a given stocking. The elf-style stocking, this one for my granddaughter. 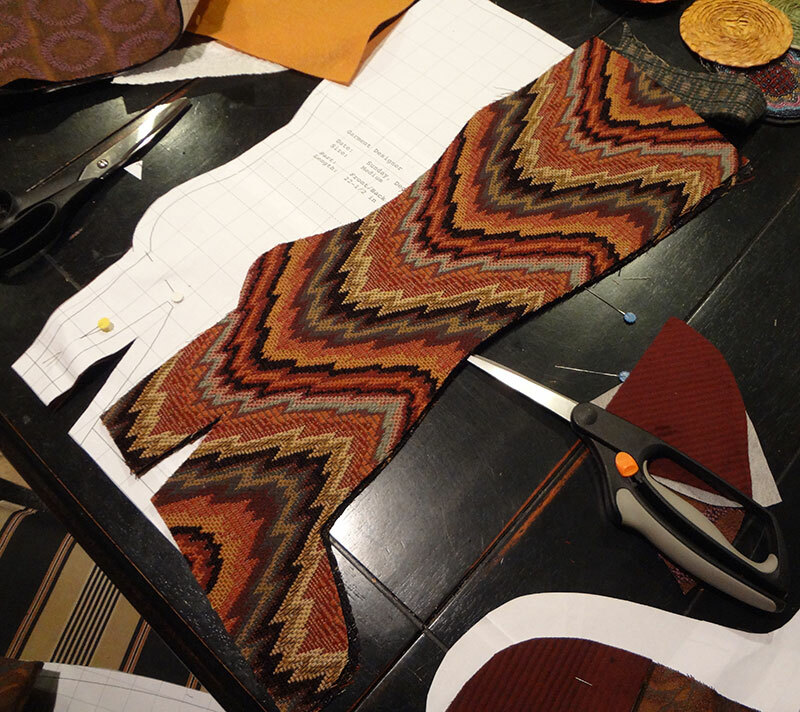 Garment Designer’s Standard stocking, and look how you can dress it up! 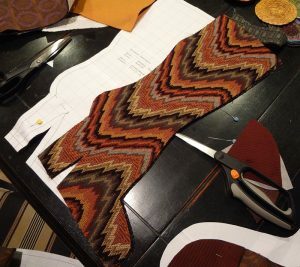 The base of the stiletto stocking. 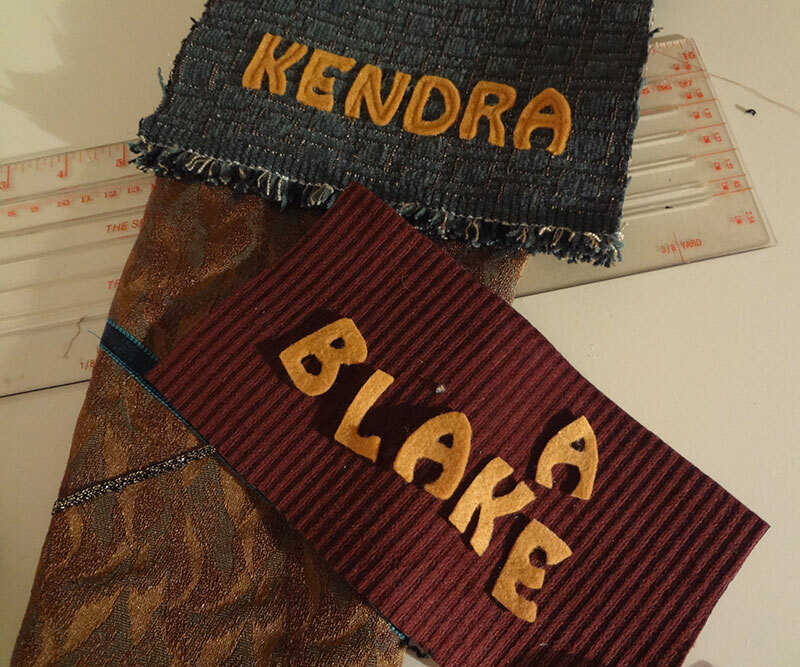 Then… on to the trims! 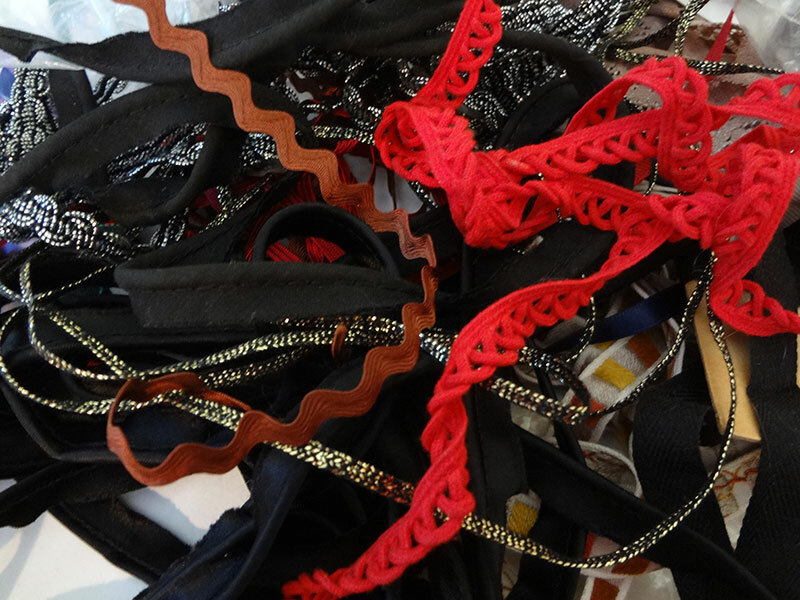 Lots of options for trims. And I cut letters out of craft felt for the names. 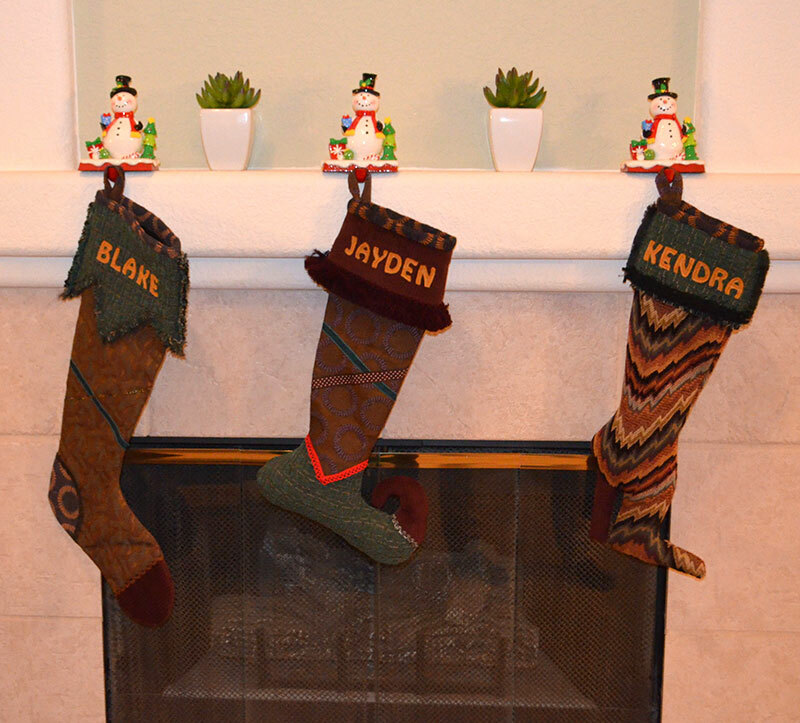 Customizing the stockings with names. Now… they hang every Christmas and My granddaughter can’t wait to see what’s in hers on Christmas morning. Hanging in place, every year now. 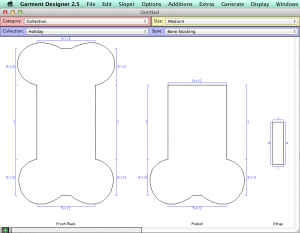 and if you like, there are options for your dog or cat… Here is the Bone stocking pattern. 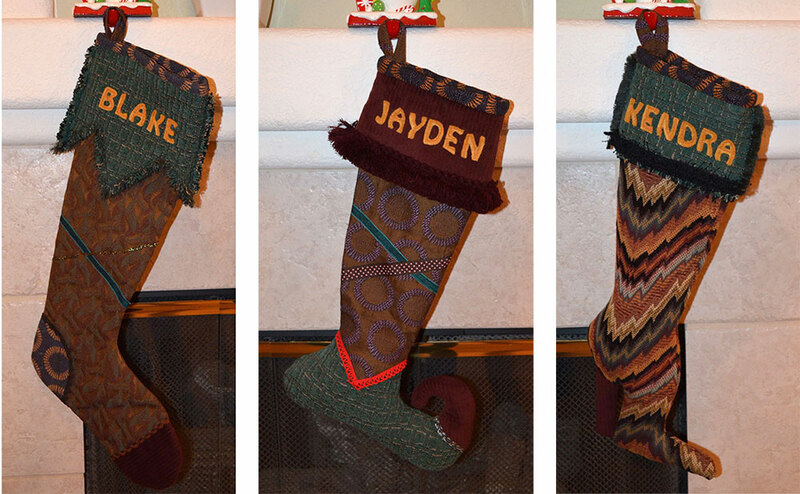 Make a stocking for the doggie in your world.